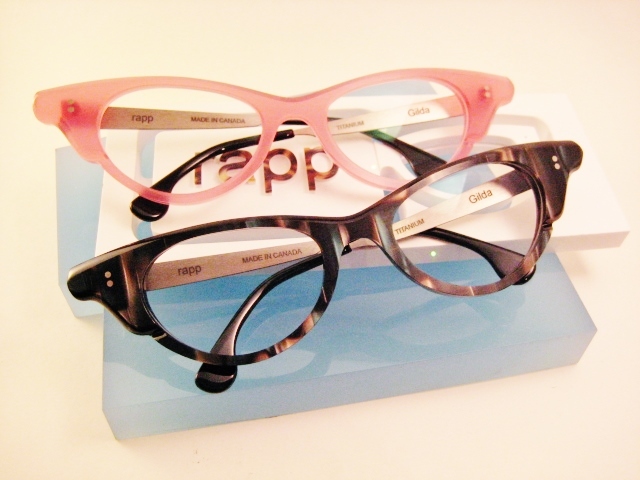 Finding the perfect pair of glasses can be a challenge. We *all* know this. Finding the pair you love AND will wear on your wedding day can be an added challenge. When Rachel came through the door that’s exactly the challenge she presented to us: a dazzling pair of purple glasses that she would wear to her wedding…and continue to wear afterwards. 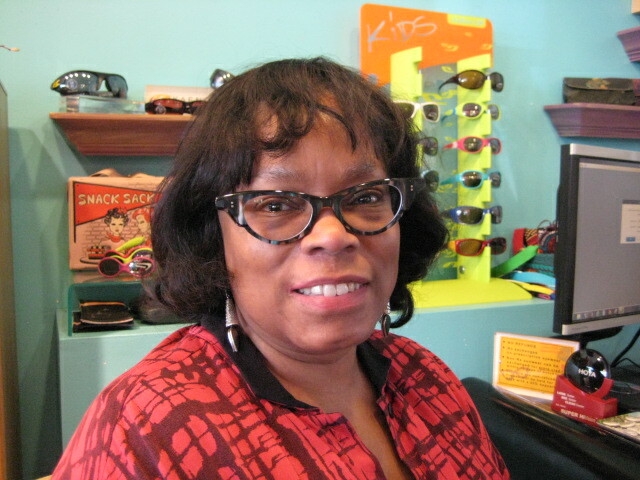 ( Just a little pressure, it’s no big deal…) After trying on a few frames we found it, her dream frame. 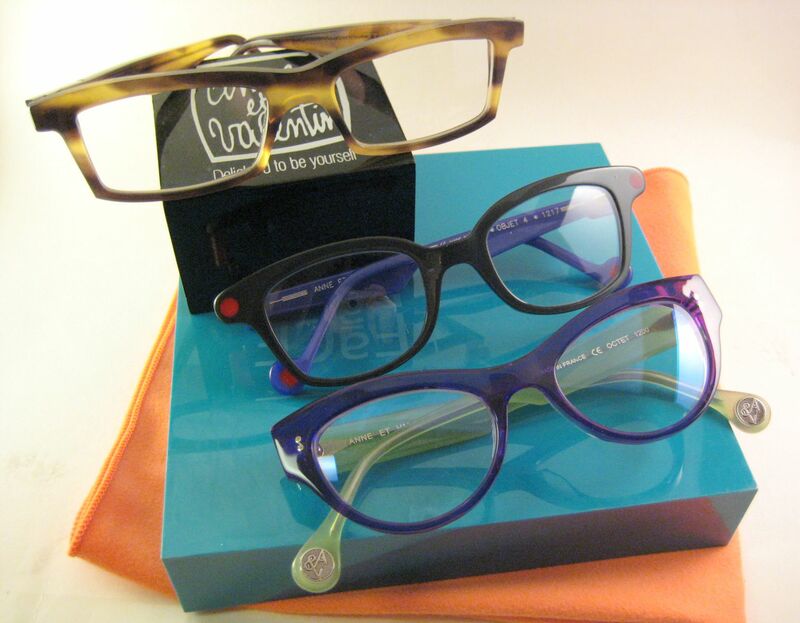 This beautiful, two-toned purple Anne et Valentin Dubai frame. 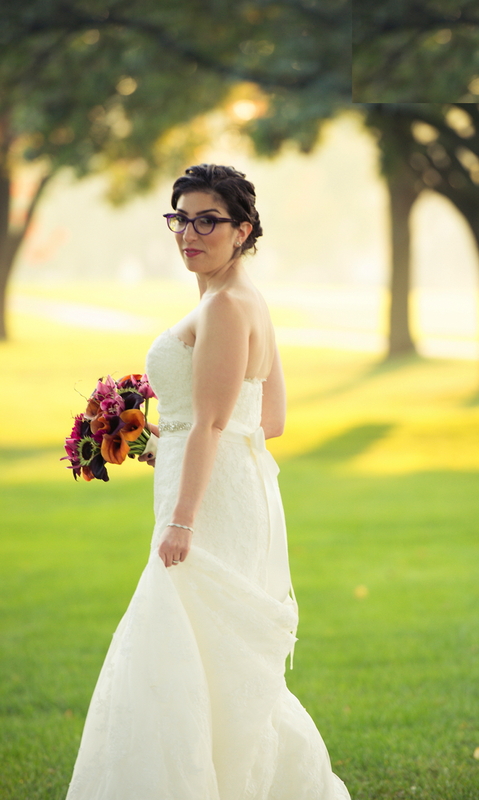 Rachel and her betrothed were married on October 12th at Bryn Mawr Country Club, and she was glowing! 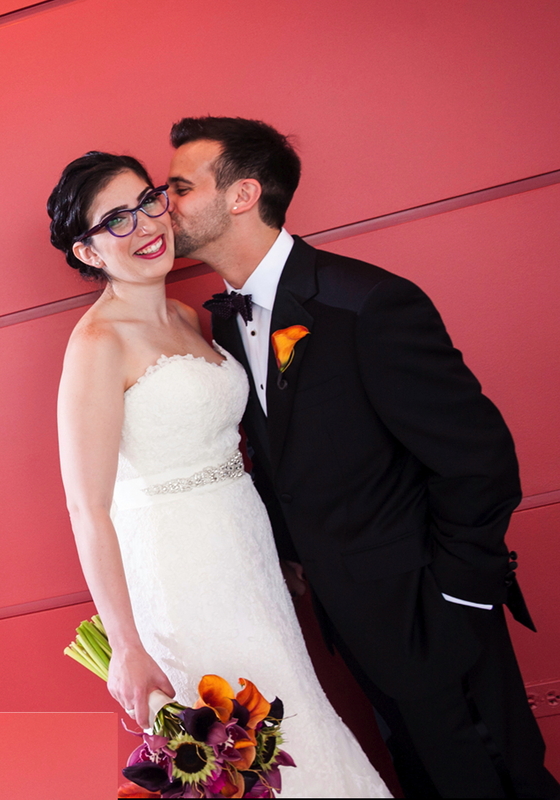 Thanks for the beautiful photos, Rachel, and for letting us help you choose your frame for your day! Filed under: Anni Shades, EVENTS! 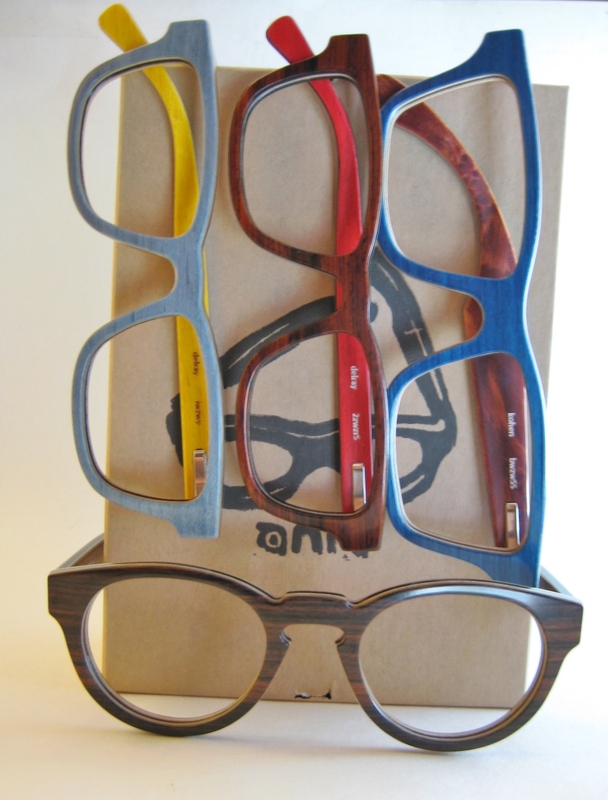 We have been dying to know how the guys at Anni Shades make all those beautiful wooden frames! 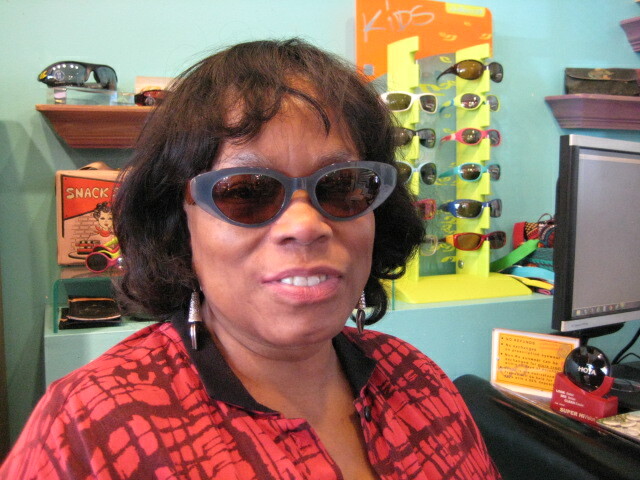 Come on now, you know you are in the same boat as us, with all of those beautiful styles and colors they have created! You can basically get a rockin’ wood frame in *ANY* color your heart desires! Talk about dreamtown! If you haven’t felt these frames in your hand, you should really fix that by stopping by Friday evening or Saturday. 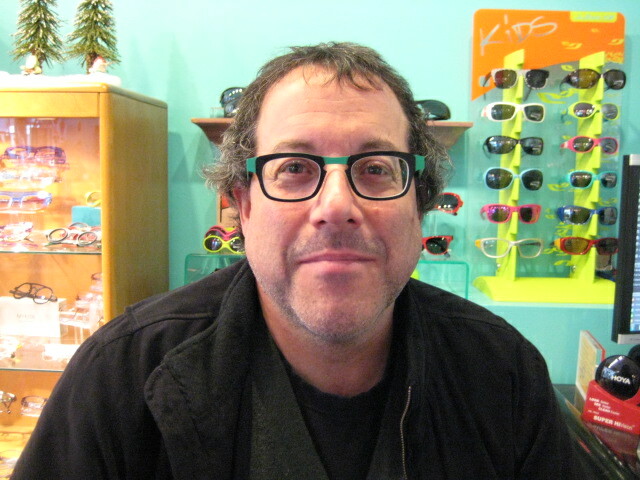 Phillip, of Anni Shades, will be here talking about his process and the reasoning behind the 8 layers involved in each frame. 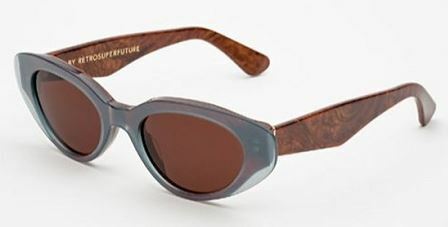 He will also reveal how Anni Shades keeps their business as socially and ecologically responsible as possible. Head on over, meet Phillip and have a chat… along with some empanadas on Friday. Meet the Maker from 5-7pm on Friday, November 22nd. 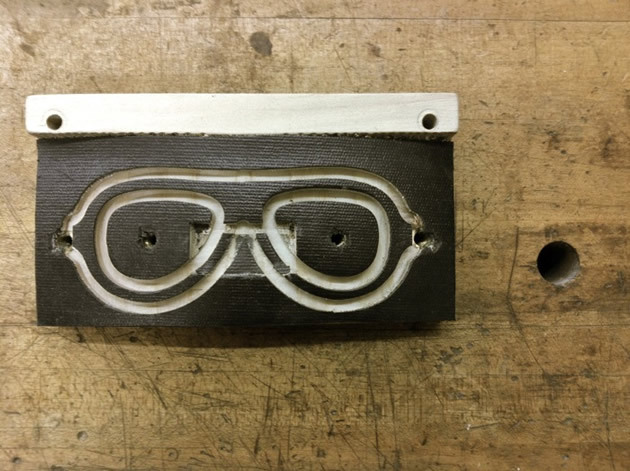 Can’t make it to Meet the Maker? Have no fear! We will have the whole dazzling Anni Shades collection on Saturday for the fourth installment of our November trunk shows! Angela! 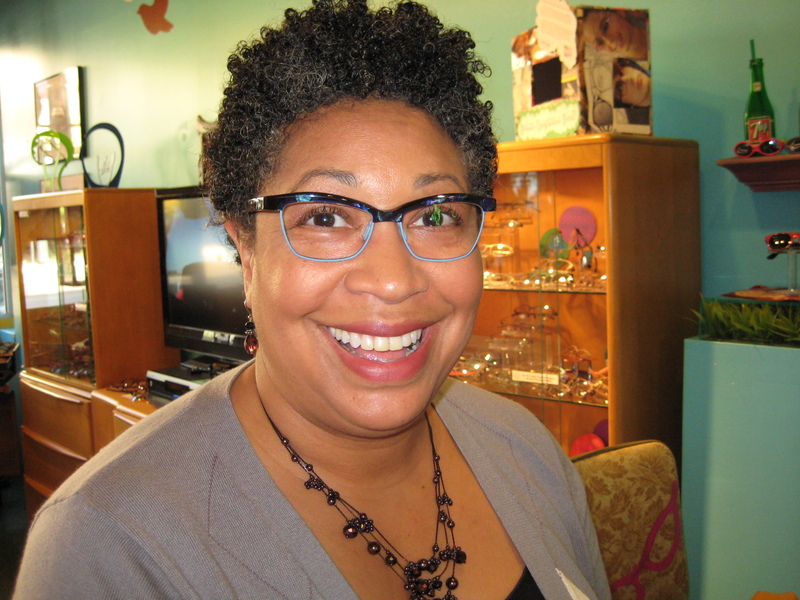 Oh Angela, how we love you…and your sister’s great taste in glasses! 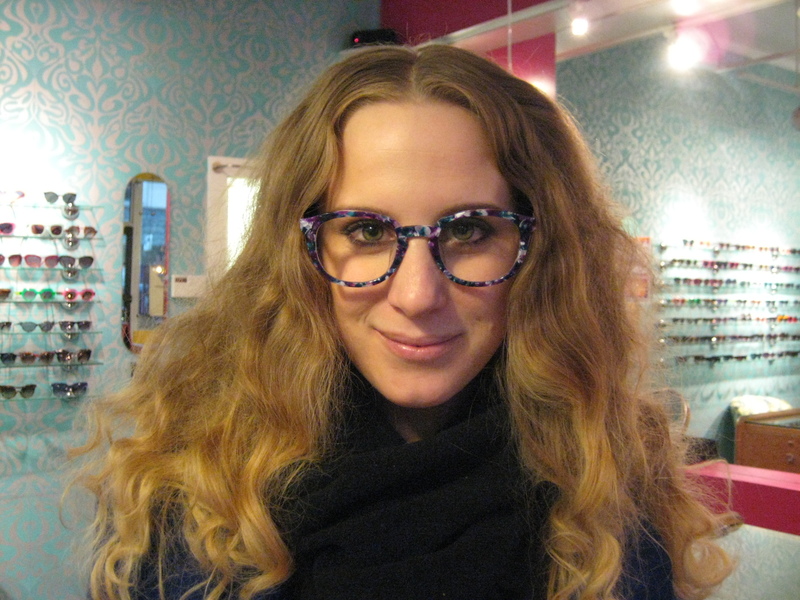 Angela fell in love with these Theo Soixante-Deux frames….and had to have this beautiful tortoise and purple color, so we special ordered it for her:-) Theo frames are available in at least 8 different colors…and some frames are available in 20 different colors!! OMG. Usually, we do not have all 8 colors in-store…. 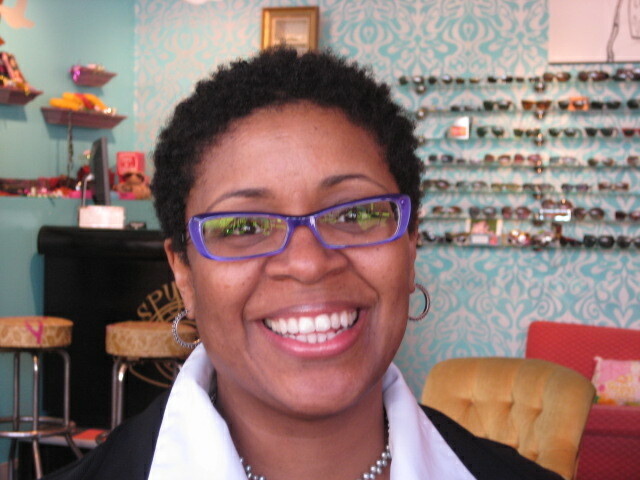 BUT, this Saturday the 16th, we are having a trunk show with every shape AND every color in the Theo collection!! 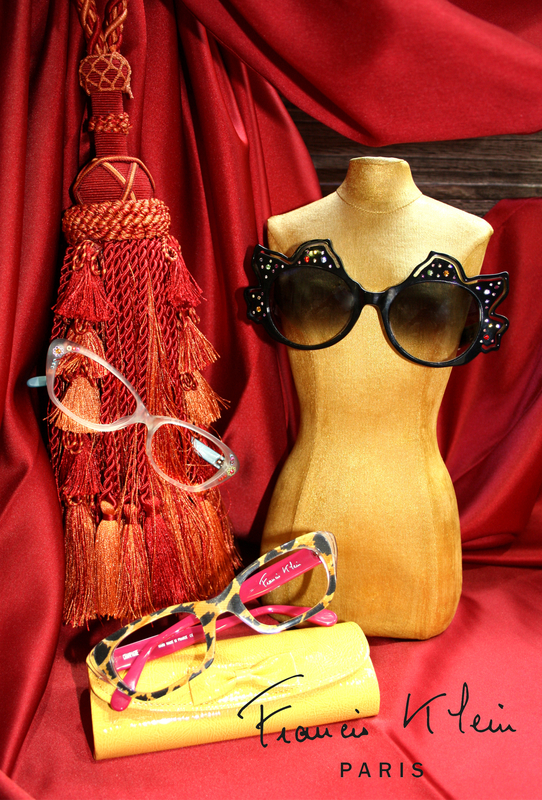 Don’t faint…just come in and try-on everything! 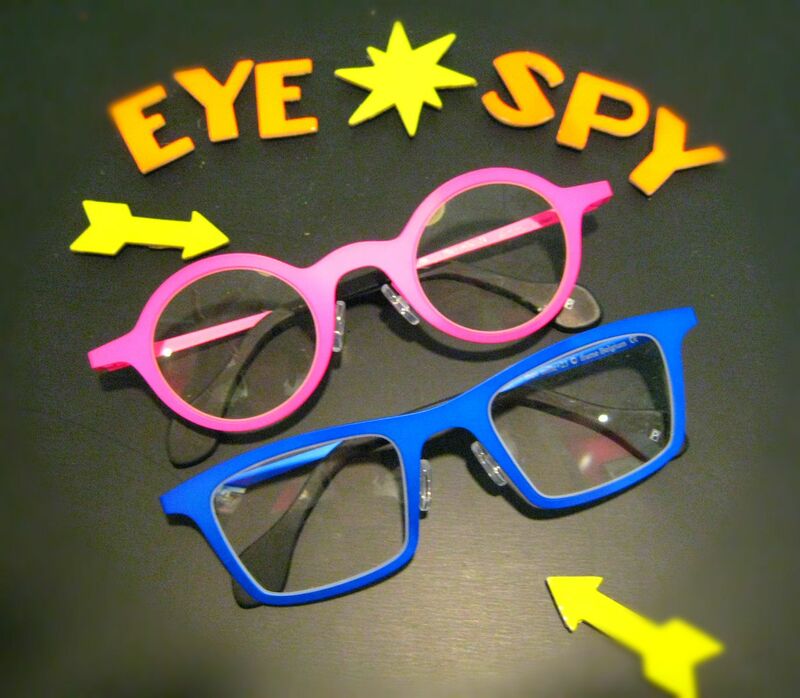 Thanks for coming to Eye Spy for more than 10 years and letting us fit your beautiful faces:-) xox. Are you so excited? 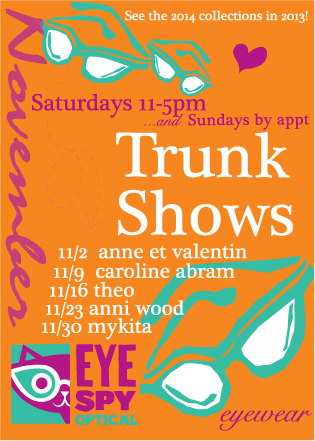 It’s that time of the year again when we jam-pack all the Saturdays in November with trunk shows! We’ve got new things up our sleeves this year! Come and check out the new collections from 5 different lines! First up is Anne et Valentin on November 2nd! Anne et Valentin is a small company based out of Toulouse, France. 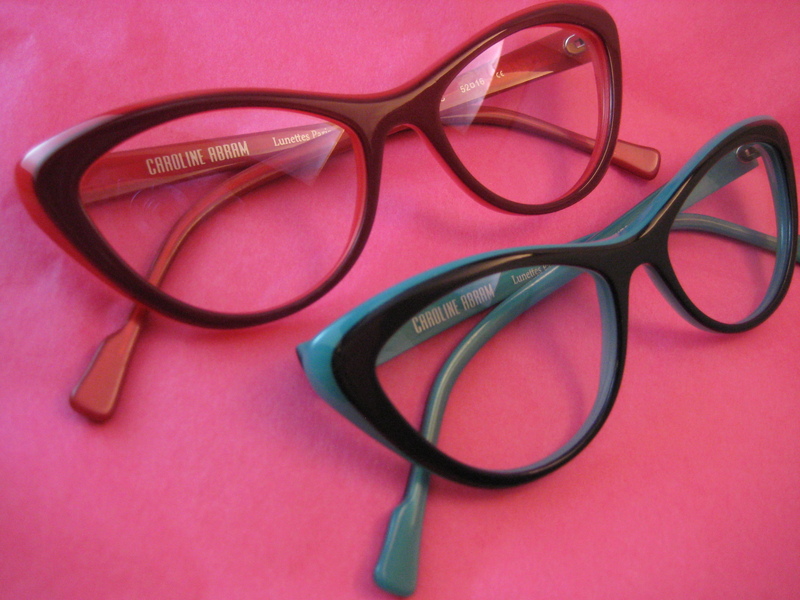 They made their mark back in 1994 when they began design and production of bi-colored acetate frames for their optical shop in Toulouse. 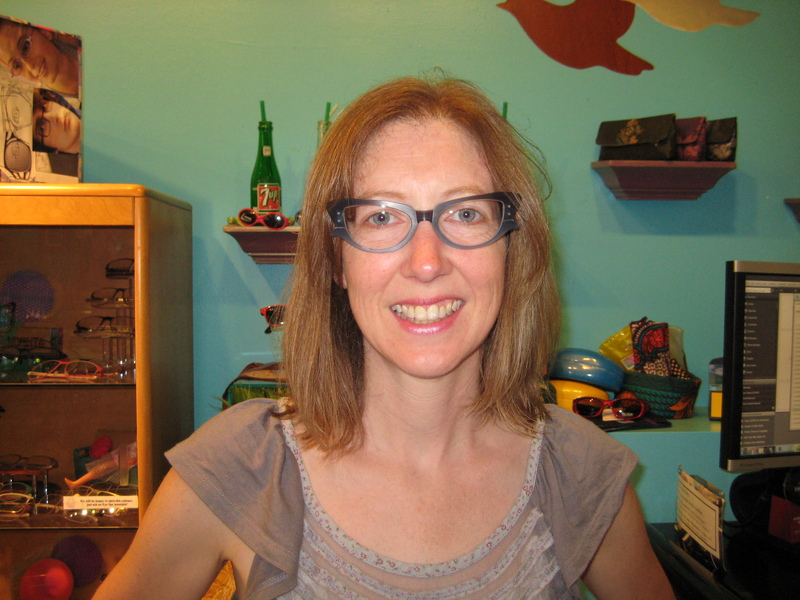 Second, we’ve got Caroline Abram on November 9th! Third up is everyone’s favorite: Theo on November 16th! In 1989, Theo introduced its ground-breaking collection in Belgium to offer their clients glasses that were definitely not mainstream. Now, Theos appeal to a wider audience, but they still have a soft spot for the individualist. 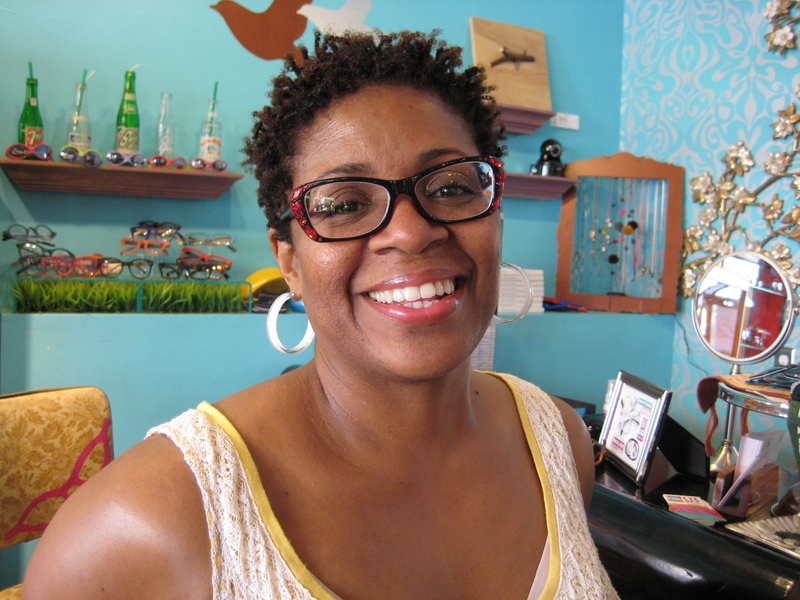 AND a Meet the Maker party on Friday, November 22nd!! Made just over yonder in Ohio, Anni Shades is a small group of guys who are committed to create from what nature has made. 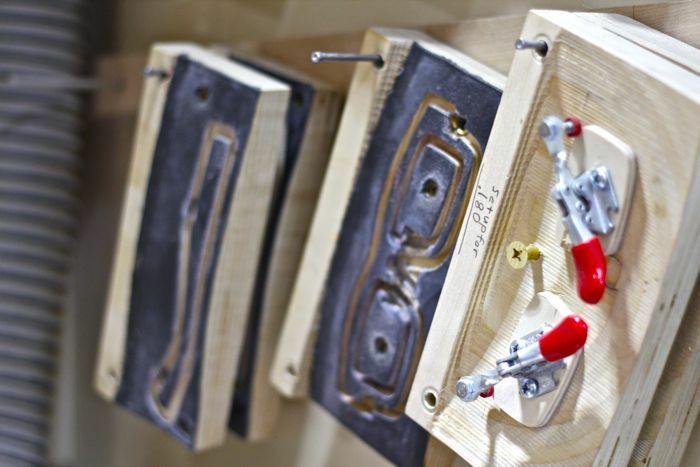 In case you haven’t guessed, it is a sustainably-forested wooden line. 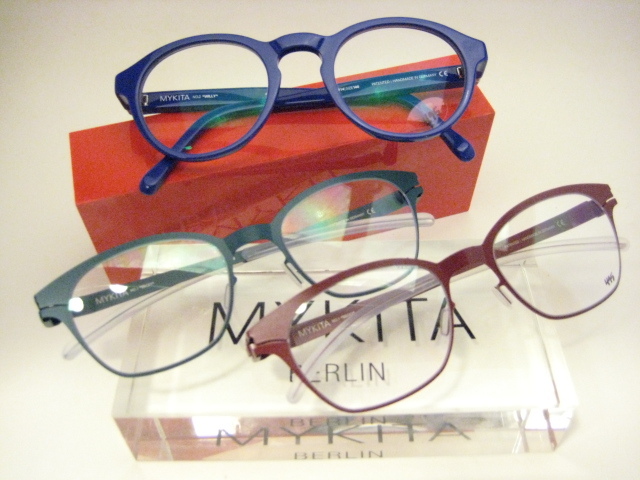 Last but not least is Mykita on November 30th! 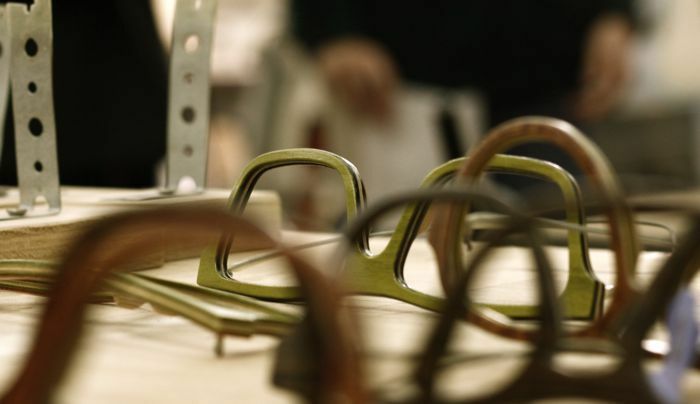 Since 2003, Mykita has been designing and handcrafting its stainless steel and plastic frames in-house in Berlin. The frames are avant-garde, perfectly crafted, individual and unmistakable due to their patented screwless hinge concept and clean designs. 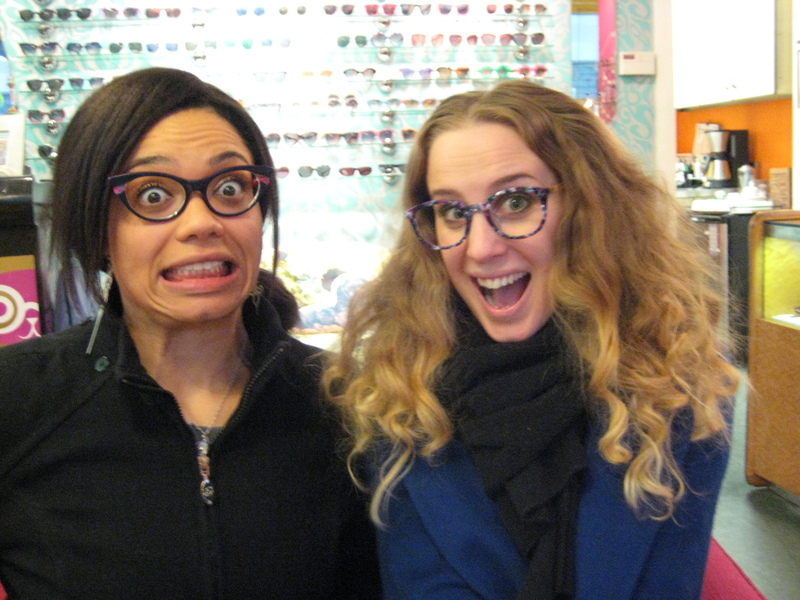 We will see you for five Saturdays of brand new frames from the 2014 collections and lots of snacks. Think you might miss the show? Well, turns out… we will have the collections for Sunday appointments Just call first! 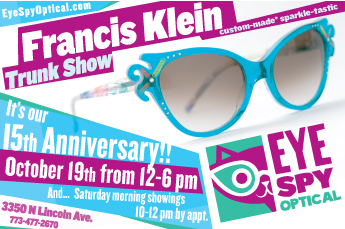 …and we are having a Francis Klein Trunk Show to celebrate!! 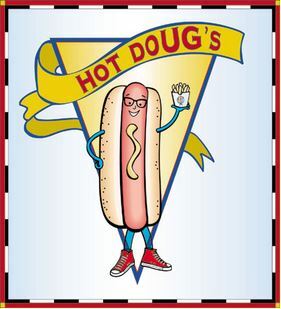 Join us for the festivities on Saturday, October 19th from 12-6 PM! 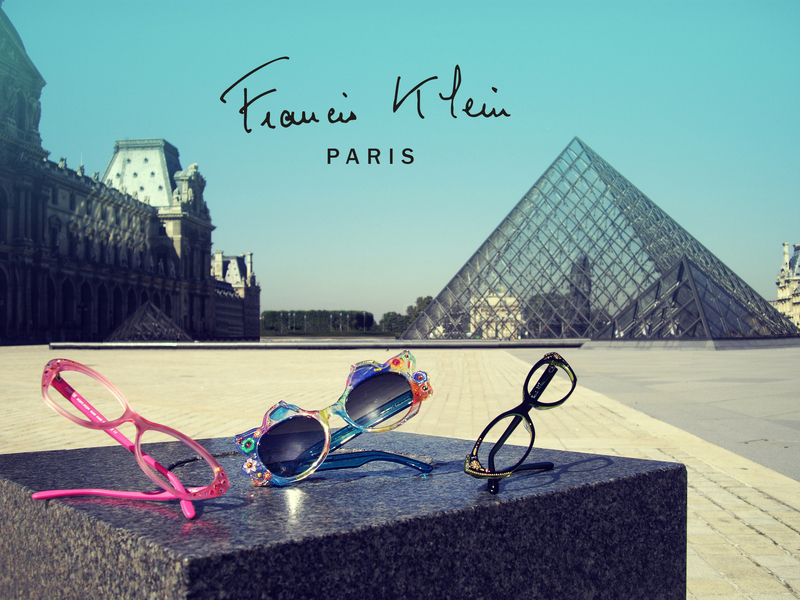 We will have the entire new 2014 collection straight from the Paris trade show…with our stellar Francis Klein rep, Marien, flying into Chicago from the trade show with his bags of sparkle-tastic frames…that are made-to-order, just for you!! 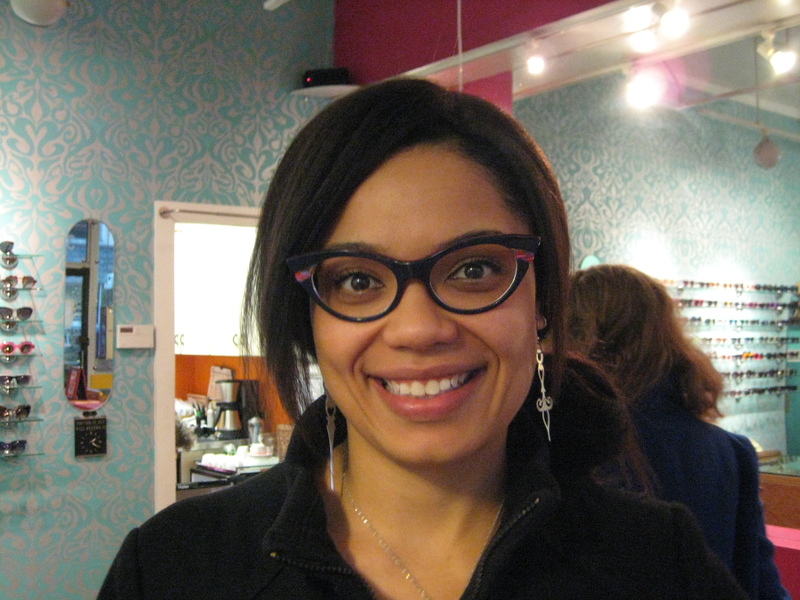 If you would like to design a custom frame, please make an appointment to visit us in the morning between 10 and noon:-) Call or email us: appointment [at] eyespyoptical.com. 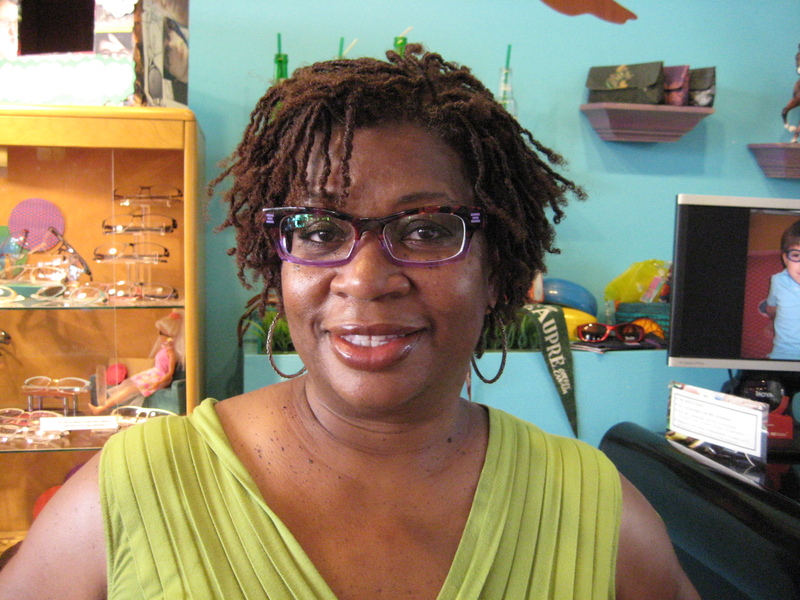 Thanks for a successful 15 years…and here’s to another 15 years of custom, colorful, handmade eyewear!! xox.